Home » Bollywood News » Fan: Why is everyone losing their minds over this Shah Rukh Khan film? Tu Nahin Samjhega! Fan: Why is everyone losing their minds over this Shah Rukh Khan film? Tu Nahin Samjhega! "Society does not respect obsession and if you do get obsessed with someone, they think you are mad. Look at the irony of life - my fandom helped me become a film historian". A few days ago, I was travelling in a Mumbai local train when I overheard a conversation between two young boys. They were die-hard fans of two of Bollywood's biggest "superstars". Think of the Hindi film industry's largest fanclubs - who are constantly at war - and you'll know who I'm talking about. Boy 1: I watched the film with your "superstar" in it yesterday. It was terrible. How could you praise it? Boy 2: It was a little underwhelming. But you just wait for his next film. It will be kickass. Boy 1: Haha! You say that all the time. But the films always turn out to be duds. Boy 2: You better not talk about a film being a dud. Most films by your "superstar" in the last decade have been crap except the one that released last year. Boy 1: Who said they are crap? They did well at the Box Office and audiences loved the films. We don't care about critics, they are all paid. Boy 2: Of course you think critics are paid. Why wouldn't you? They never praise the films done by your "superstar". Boy 1: Despite bad reviews, his films do business worth Rs 100 crore and Rs 200 crore. Imagine the hysteria he creates despite bad reviews. Now that's what you call superstardom. Boy 2: My "superstar" has the maximum awards in the industry. He has the maximum number of fans across the globe. He has got a lot of recognition from international governments. He represents India. Boy 1: If he has so many fans outside India, ask him to make Hollywood films and stop boring us. Boy 2: Ask your "superstar" to make South Indian films. Most of his hits are remakes anyway! Boy 1: Even your "superstar" attempted to unofficially remake films. At least our idol doesn't try to fool audiences by labelling a copied film as being original. Boy 2: Excuse me? My "superstar" is the most respected actor in India. Plus he isn't in trouble with the law unlike yours. Boy 1: Oh Please. Everyone knows he was framed. He has not done anything wrong. Besides, why are you talking about his personal life when we're discussing films? Boy 2: I don't want to talk to you. Boy 1: I'm not interested in talking to you either. The two then turned away from each other and plugged in their earphones. I had to get off the train by then, so I really don't know if they managed to sort out their differences. But what I learned from their conversation was that despite the Bollywood "superstars" in question being rather secure about their position in the film industry, their fans across the country will never cease to argue about who the bigger star is. Shah Rukh Khan's upcoming venture, Fan seems to be a tribute to such people who have been obsessed fans of an actor at some point of their life. Most of these fans cannot even explain their love for their idol. Despite repeated attempts by these Bollywood legends to put an end to the warring fanclubs, fans continue to spar with each other. From vandalism to nasty social media spats, there seems to be no end to how far these fans will go to "defend" the star they back. The only explanation? "Tum Nahi Samjhoge, Fan Hai Woh"
This is exactly what Yash Raj Films' Fan seeks to build on. 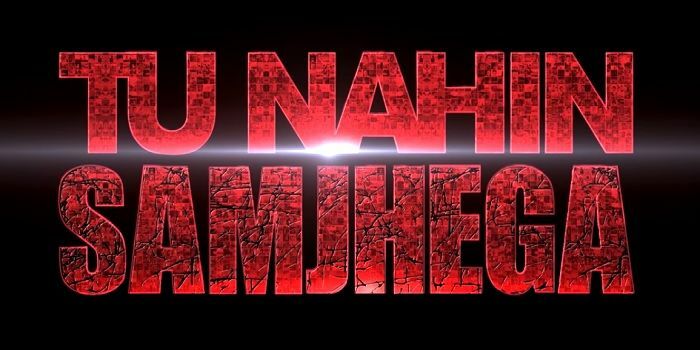 The "Tu Nahin Samjhega" promotional campaign by the production house is an ode to these devoted fans across India. Fan is set to be released on 15 April 2016.